If you have a toddler bursting with energy on a wet day then Tots Bounce is a great activity. There's a large bouncy castle, scooters, a slide and lots of soft play shapes to clamber over. With an upper age limit of 5, you can sit back on the benches and let your child run wild. 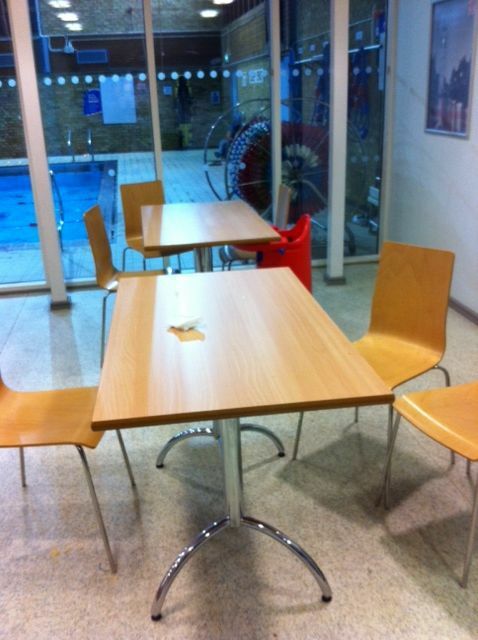 No need to worry that they will be knocked over by bigger kids. 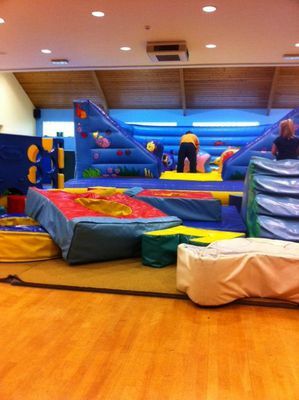 If you've got some energy yourself then get up on the bouncy castle and have some fun. 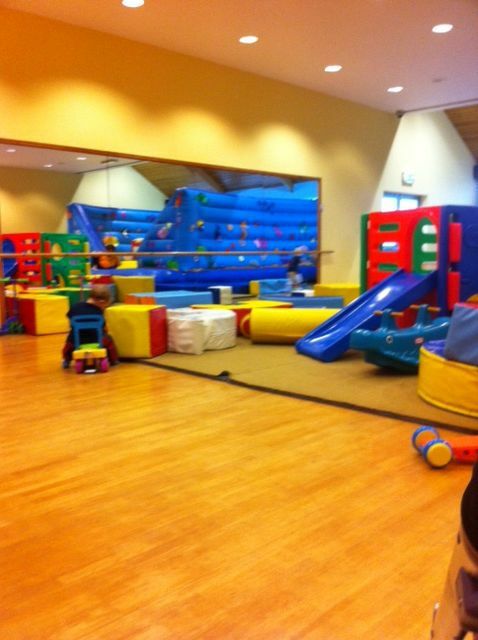 Tots Bounce is held on Wednesdays from 11am to 1pm in a room at Gosford Leisure Centre. There's a large seating area just outside with highchairs too. You can bring your own lunch and snacks making this a value for money outing. The seating area has large windows over looking the swimming pool, a good distraction to keep your toddler occupied while eating.